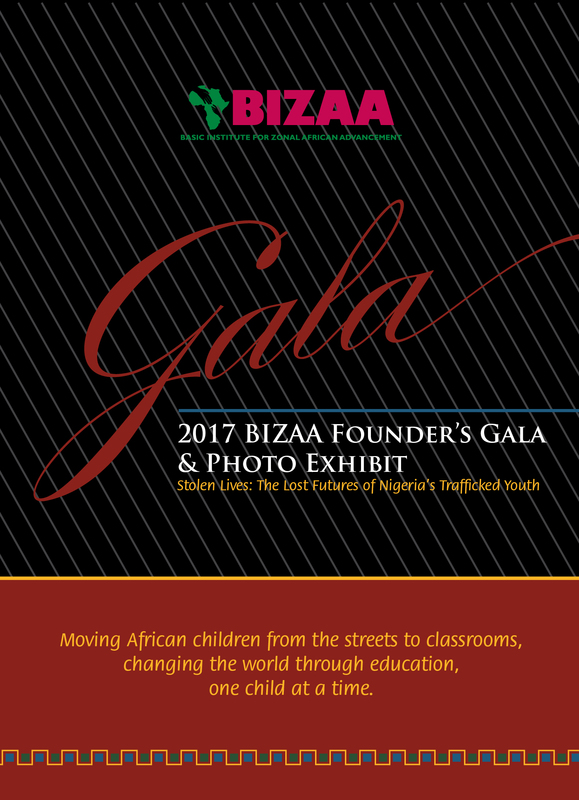 BIZAA » GET GALA TICKETS: 2017 BIZAA Founder’s Gala! 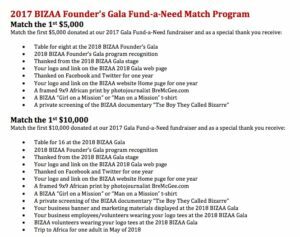 GET GALA TICKETS: 2017 BIZAA Founder’s Gala! 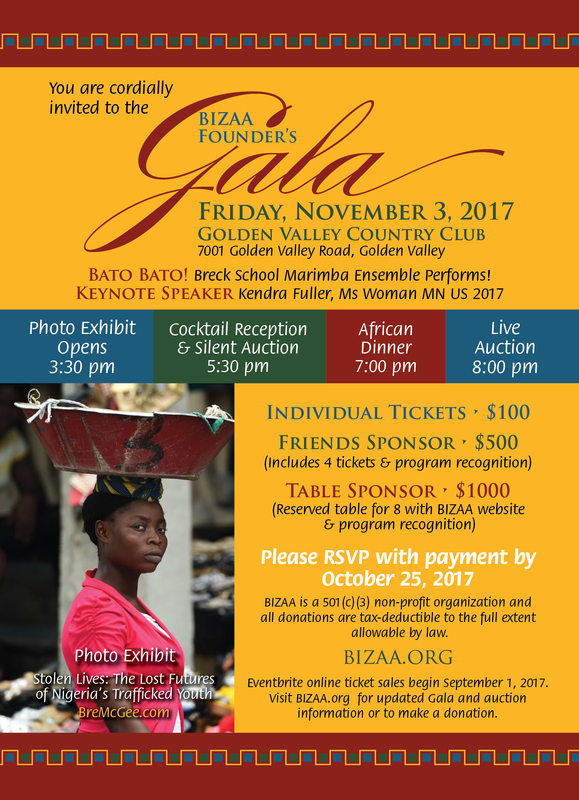 Join us at the 2017 BIZAA Founder’s Gala on Friday, November 3, 2017. 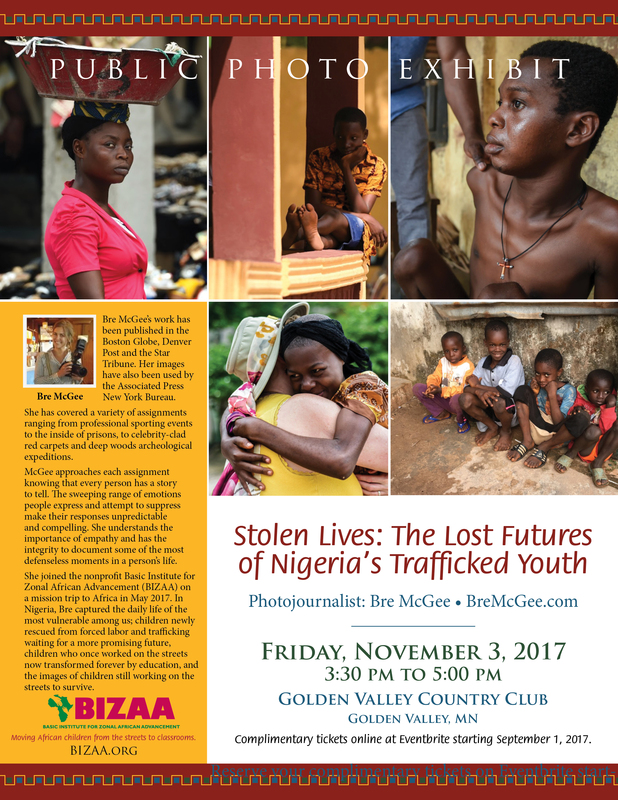 Doors open with a cash bar at 3:30 pm for the photo exhibit, Stolen Lives: The Lost Futures of Nigeria’s Trafficked Youth by photojournalist Bre McGee. Bre joined us during our May 2017 mission trip to Nigeria and took over 9000 photos! She’ll be sharing her best images with us this evening. Then starting at 5:30 pm, you will enjoy a cocktail reception, silent auction, raffle and heads and tails game. An African inspired dinner created by the Golden Valley Country Club chef will be served at 7:00 pm with our keynote speaker, Kendra Fuller, Ms Woman MN US 2017 taking the stage at 7:50 pm. Performing at our gala this year is pianist and singer Katie Phenow and Friends with Molly Schorr and Michelle Allen. And Karen Sorbo, national auctioneer, kicks-off the live auction and Fund a Need at 8:00 pm. 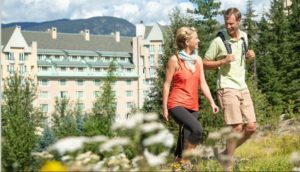 Bid on a chance to win Dinner for Two with TV Personality Rebecca Kolls and her lovely husband Roy at one of her favorite local restaurants. Rebecca has been seen on Good Morning America, HGTV’s nationally syndicated television show Rebecca’s Garden, WCCO TV, ShopNBC and is a Master Gardener! 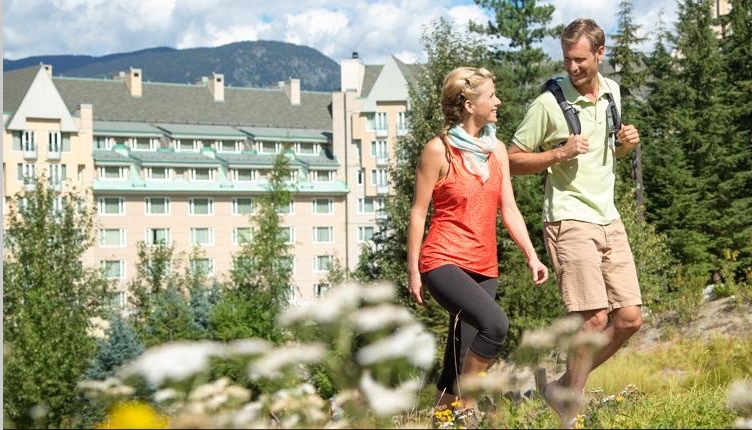 Bid on a chance to win a four night stay with daily breakfast and airfare for two (2) to the Fairmont Chateau Whistler in British Columbia, Canada! Raffle Package: Purchase a raffle ticket at the Gala for a chance to win an Apple laptop, sleeve, backpack and sit/stand for your office. Heads & Tails: Purchase beads at the Gala for a chance to win a case of red and white wine. Silent Auction Items: Chanhassen Dinner Theatre tickets, USA Inflatables, Justin Morneau Bat, Nothing Bundt Cake, Donato’s Floral, Jessie DeCorsey art, Vinturi Wine Aerator and accessories, Simonson’s Salon and Hair District gift cards, restaurant gift certs, themed baskets and more! More Live Auction Items: Steamboat Springs Condo Vacation, Beer and Brat Tasting, NFL Vikings Tickets, Hazeltine and Medina Golf packages, Minnesota Wild Tickets, Love That Olive Sampler Dinner and more! African Dinner: Collard greens and spinach with roasted sweet potato and goat cheese, chicken Suya (skewers) with vegetables served on a bed of yellow rice, South African banana cake pudding with rum sauce. *GF, DF, Vegan, and Vegetarian options available. 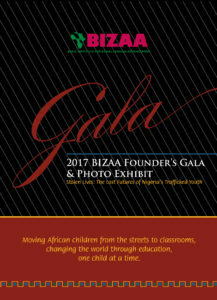 Purchase your Gala tickets now on Eventbrite. Or, please consider donating online if you cannot join us this year. *Proceeds to benefit the operational and educational expenses for the international BIZAA College of Technology and Nursing. Match the first $5,000 or $10,000 during our Fund-a Need and receive a special thank you! 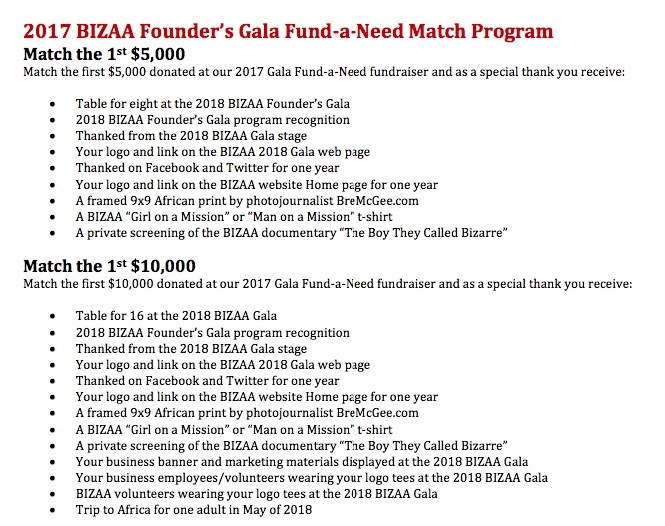 Contact Okey@bizaa.org for more information on our Match Program.